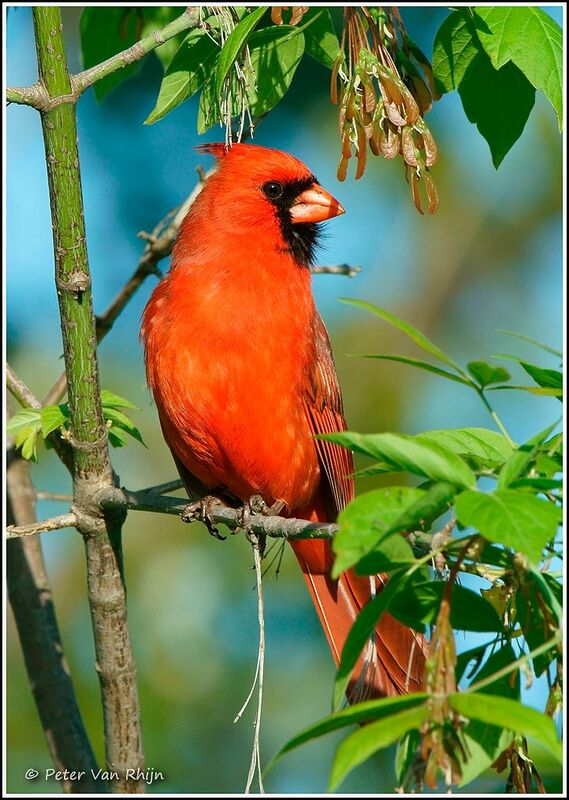 The Male Cardinal - a killer? We had a cardinal’s nest in the back yard this year. The parents were working hard raising two babies, and all seemed well. Until one day we heard a lot of commotion from the nest. A bit later, in the trees, two males were fighting: pursuing each other at breakneck speeds. We checked the nest and all seemed well. The next morning two baby cardinals lay on the ground below the nest, deceased with obvious signs of trauma. The nest itself was not damaged. The forensics of the case were suspicious. A competing male was the prime suspect. We checked with the Toronto Wildlife Centre and they confirmed that infanticide by competing males was not uncommon among pretty little dinosaurs. Look at this male closely: pretty little birdy or ruthless killer? ILCE -7R M2, FE 100-400mm F4.5-5.6 GM OSS, f-9, 1/800th sec. Tripod.